The molding of your pony car is an important element to an accurate look on your restoration. 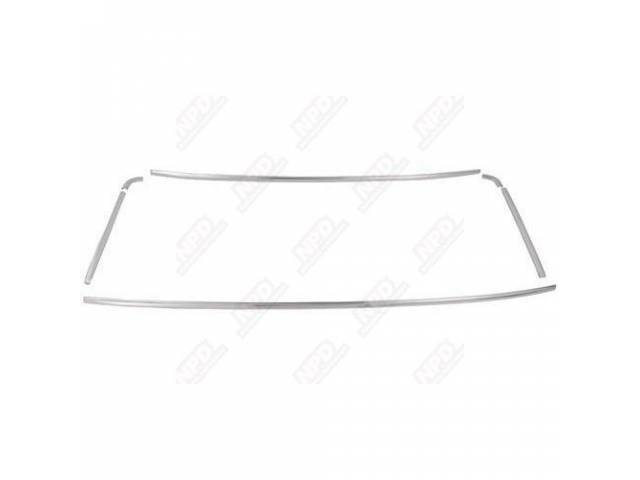 This 6 piece rear window molding set is designed to perfectly match the original style of your 65-66 Mustang Coupe's rear window molding. National Parts Depot carefully tests every product in our inventory to ensure accurate fitment and industry leading quality in order to help you restore your piece of American history.